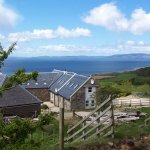 The Hayshed, Ploughman's Bothy and Blacksmith's Bothy, each sleeping four, are all located on Ivy Cottage Farm, on the upper slopes of the lovely pastoral Corriecravie Valley, overlooking the sea towards Kintyre. 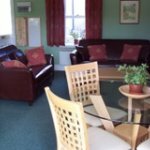 These attractive cottages are owner-maintained and fully equipped, with all modern conveniences and electric heating throughout. 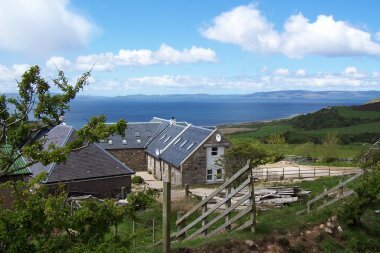 Each cottage has a spiral staircase to the upper bedrooms, and all three provide comfortable 3-star self-catering for couples and small families. 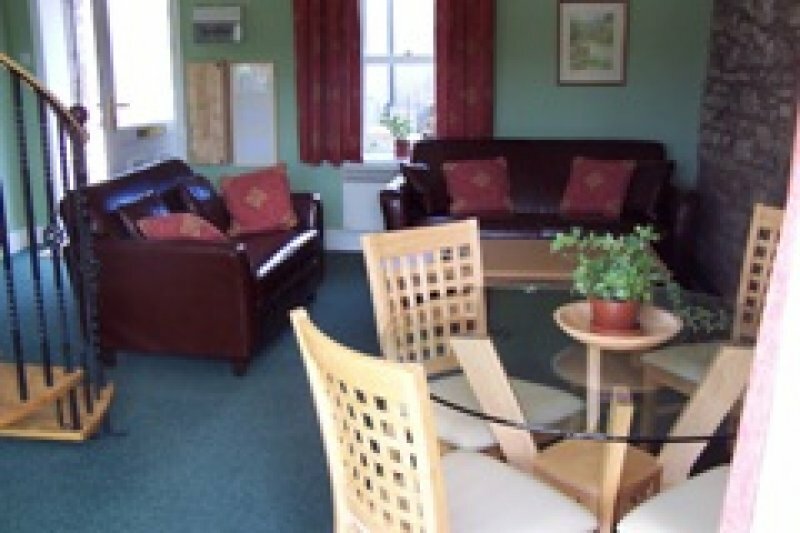 A dog companion is welcome in the Ploughman's, and there is ample parking space in the courtyard adjacent to the cottages, with access to the site down a stone track from the road. 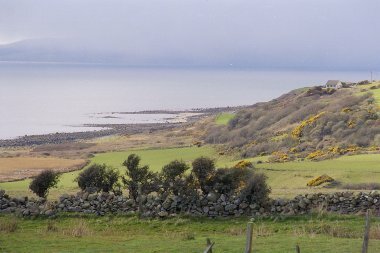 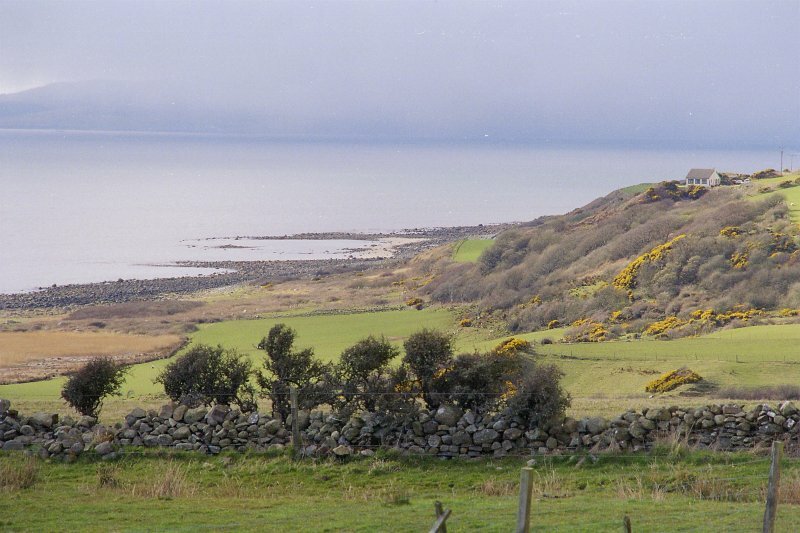 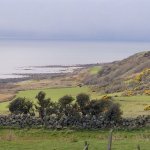 Below the farm, there is pedestrian access down a steep and rough field track to the shore, with a breathtaking panorama of sea, land and sky from the top of the Braes, and the opportunity to see seals, otters and migratory birds along the rocky shoreline. 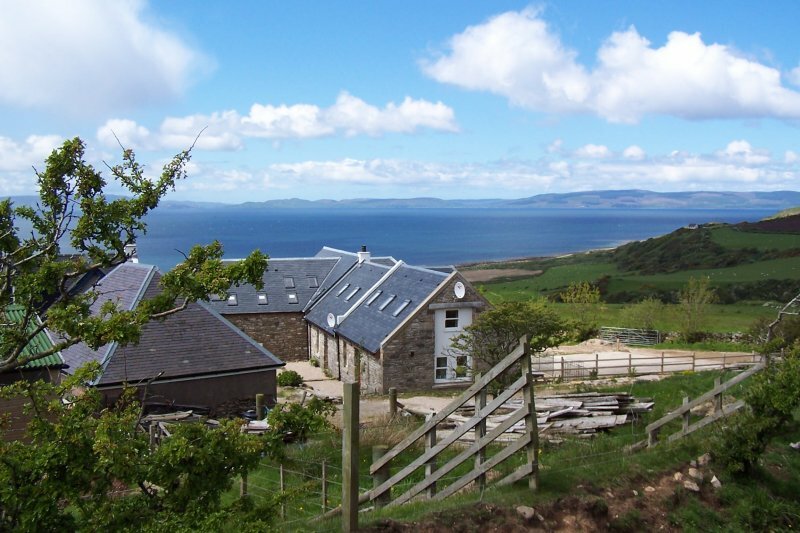 Here at Far Horizons you'll find comfort combined with rural peace, inspiring views, clean sea air - come and enjoy!